A total of 3,458 hotel rooms will soon be available. UOBKayHian’s recent report forecasted hotel supply to grow 5.2% over the next five years to match the annual demand that is seen to balloon by same percentage growth. The following are some of the hotels we know will be opening next year, based from our channel checks with experts and news reports. Want to know where to stay for your next vacation? The list includes a business hotel that will feature a cloak of green. Located at Beach Road bordering Singapore’s Central Business District is a mixed-use development, South Beach. It is a joint venture between City Developments and IOI Group, that will seamlessly blend the four historic buildings on site with two new towers to feature offices, luxury residences, a designer hotel, retail spaces and an exclusive membership club. The soon-to-be launched establishments boasts with a distinctive design including a state-of-the-art environmental canopy, South Beach has already won two green mark platinum awards and is set to be the new defining structure in Singapore’s vibrant skyline. Genting Singapore’s latest property development is billed as the first hotel to open in the Jurong Lake District, which has been earmarked by Singapore’s Urban Redevelopment Authority as a new growth area with commercial, business and leisure facilities. This property is inspired by a “hotel in a garden” theme incorporating extensive landscaping and greenery and is designed for both business and leisure visitors. The hotel facilities will include an all-day dining restaurant and a 24-hour deli, swimming pool, a gym, a launderette, meeting rooms and a ballroom. After temporarily suspending its operation last August 1, 2012, the 40-year old Hotel Grand Central Singapore (Orchard Road) is making its comeback with two new hotels totaling 756 rooms on the same plot of land - Hotel Grand Central and Hotel Grand Central Chancellor Orchard. The management decided to tear down the hotel two years ago for redevelopment instead of opting for refurbishment. Located at the junction of Jalan Bukit Merah and Alexandra Road, Park Hotel @ Alexandra is a mixed hotel and mall development by CEL Development. This 19-storey mixed development project has its first 13 floors as a 4-star hotel situated on top of a 6 storey podium which includes club lounge, swimming pool, gymnasium, meeting rooms and all day dining offerings for leisure and business travelers. The first-third storey of podium are divided retail & F&B spaces while the fourth-sixth storeys are for car parking spaces. DP Architects, which previously designed the Singapore Flyer, Esplanade Theaters by the Bay & Resorts World Sentosa, is also the team behind the Park Hotel at Alexandra’s concept. Yes, you read it right. 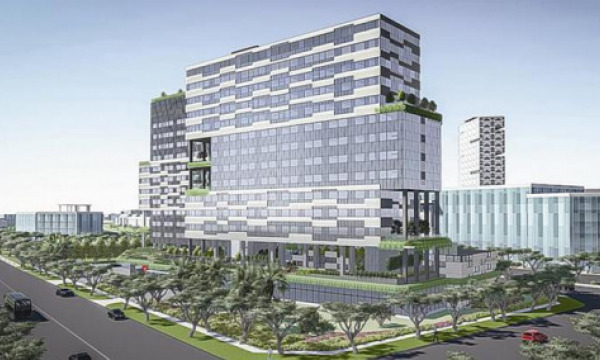 A new resort at Downtown East is slated to open by 2015. The resort will have 387 rooms of varying accommodation types, including suites with separate dining and living rooms. 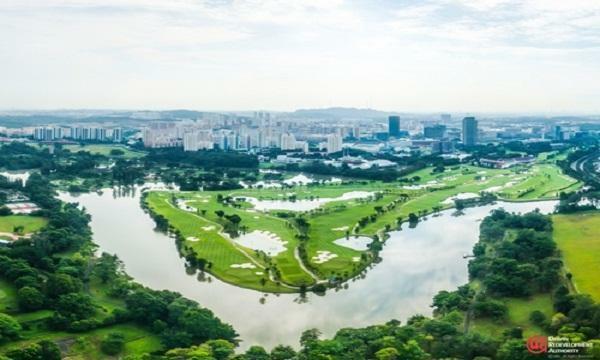 The new resort is designed to highlight the natural beauty of the Pasir Ris landscape, it will also be bigger in size than the existing Costa Sands Resort (Downtown East). The new resort will feature three clusters of rooms offering beach view, park view and mangrove view accommodations. Oasia Downtown, is the second property under the Oasia brand and is currently under development on Peck Seah Street. Oasia Downtown will be a 27-storey business hotel with 314 rooms that will feature a cloak of green against a landscape of modern buildings in glass and steel. The hotel will also offer comprehensive facilities and recreational amenities such as the spa, gym, and sky garden on level six; and a roof top bar on level 27 offering 360˚ views of the city skyline. UP @ Robertson Quay aims to define a new standard of riverside living in Singapore's District 9. It is a mixed development with hotel and residential units. UP @ Robertson Quay wants their customers to be closer to businesses, restaurants, nightspots and hotels along Robertson Quay, Clarke Quay and Boat Quay. Facilities would include an aqua gym for water aerobics, a swimming pool for laps and a poolside gym. There will also be a hammock court surrounded by lush landscaping at the lounge areas and a Gourmet Pavilion.